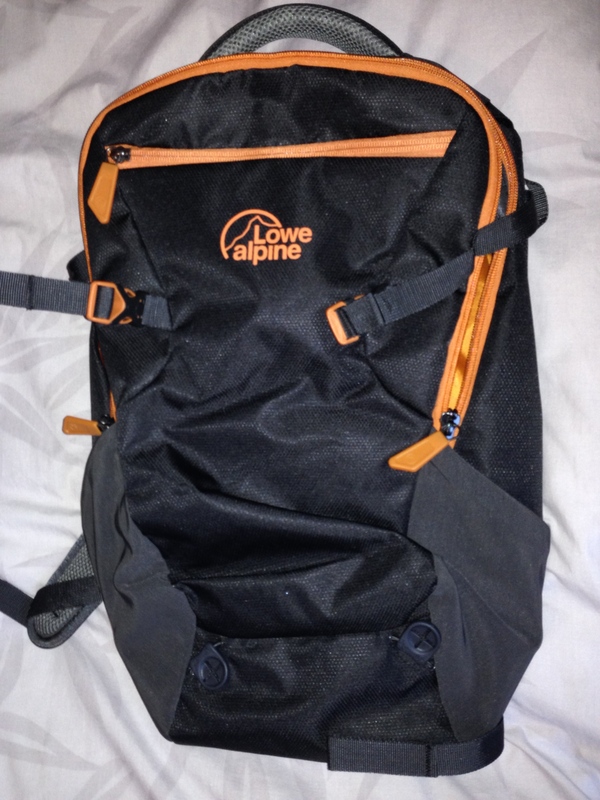 After weeks of research and surfing the net, I set my sights on the Lowe Alpine AT Voyager ND65 + 15 travel pack. An hour at the local Bogong comparing it to the Lowe Alpine Travel Trekker (weird upside-down opening) and the Deuter Traveller 70 + 10 (lovely but far too big) confirmed my choice. 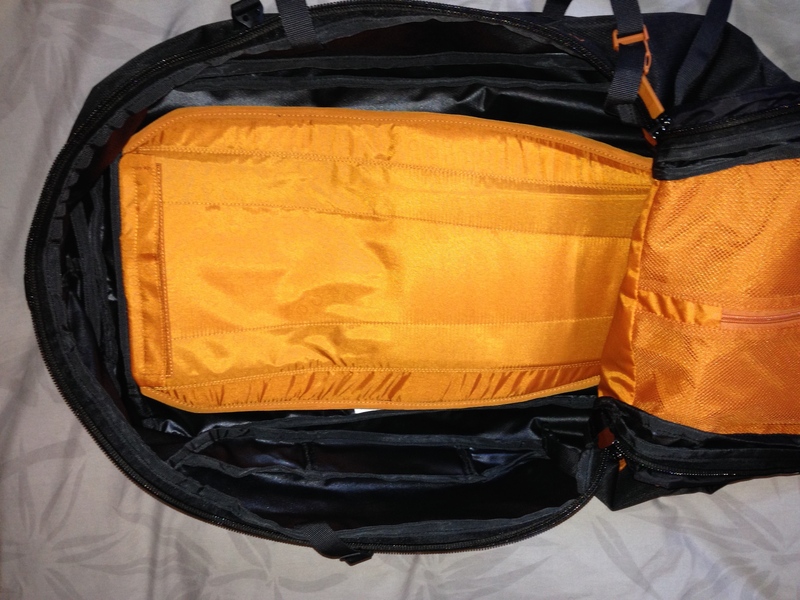 The 65 litre pack is a single-compartment unit, a nice oblong shape with no strange curves. Made from durable 300D nailhead fabric, at 2.22kg it is seriously light when empty. 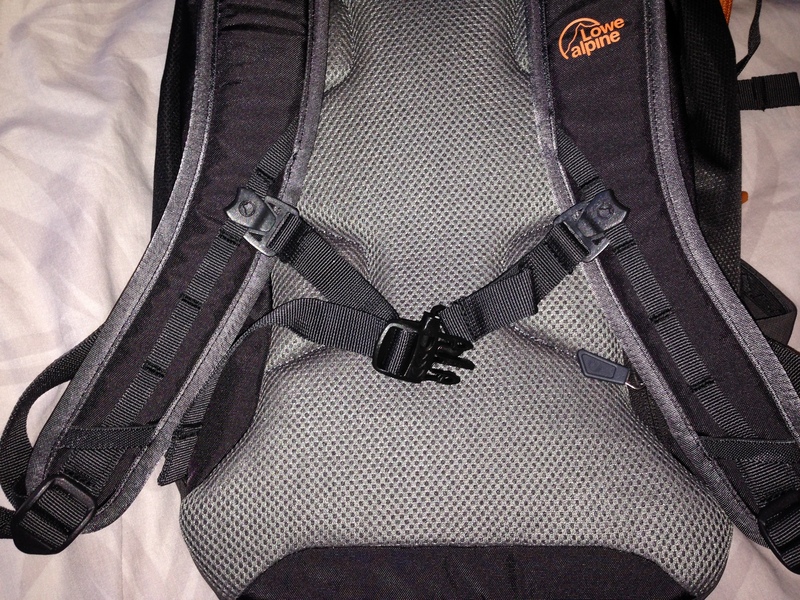 It has three comfortable carry handles, one on the top, one on the bottom and one on the side. The sides have quick-release compression straps to limit volume for shorter trips. 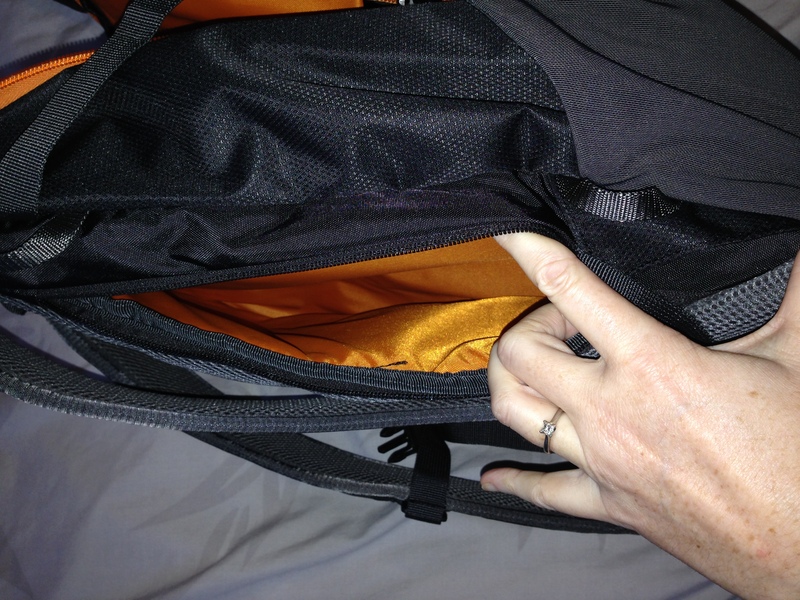 Four lash points can be used to secure the daypack to the main backpack. There is a separate rain cover which is large enough to protect both the travel pack and attached day pack from the elements. The two-way main compartment zip is lockable, durable and has a weather flap to reduce leakage. Just one zipped external pocket (unlockable) allows quick access to small items on the go. 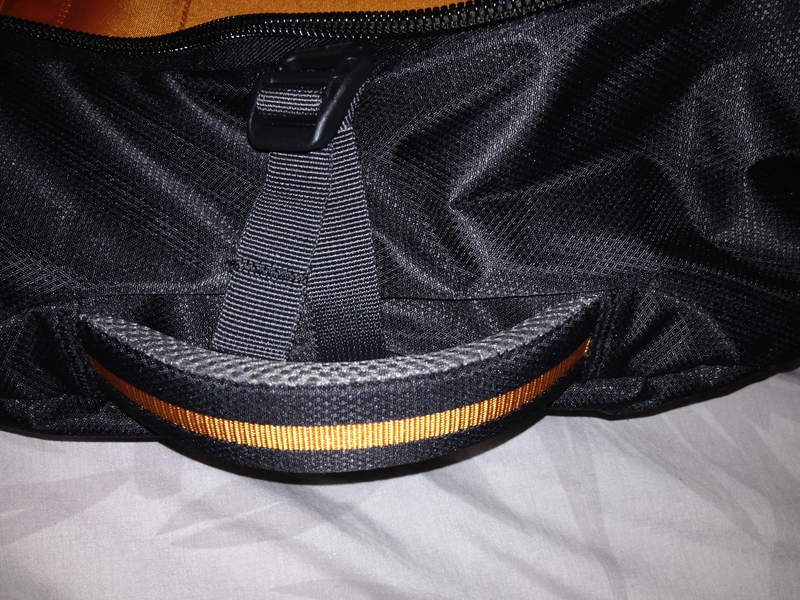 The carry straps hide away in a zip compartment for security during transit. They are fairly robust straps, with a comfortable hip belt complete with elasticated mesh pockets on each side. 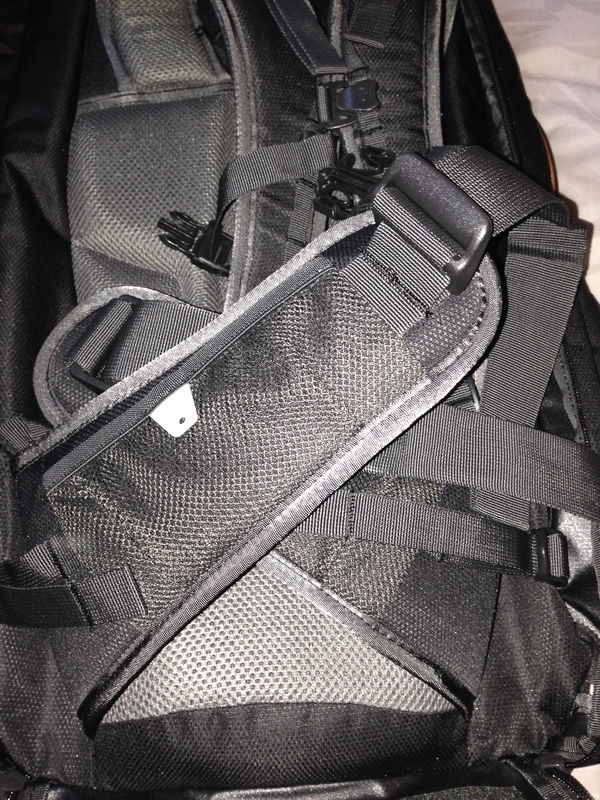 The shoulder strap system is not the very best on the market (for that you will need to consider a trail backpack) but it is certainly comfortable and has multiple adjustment points. 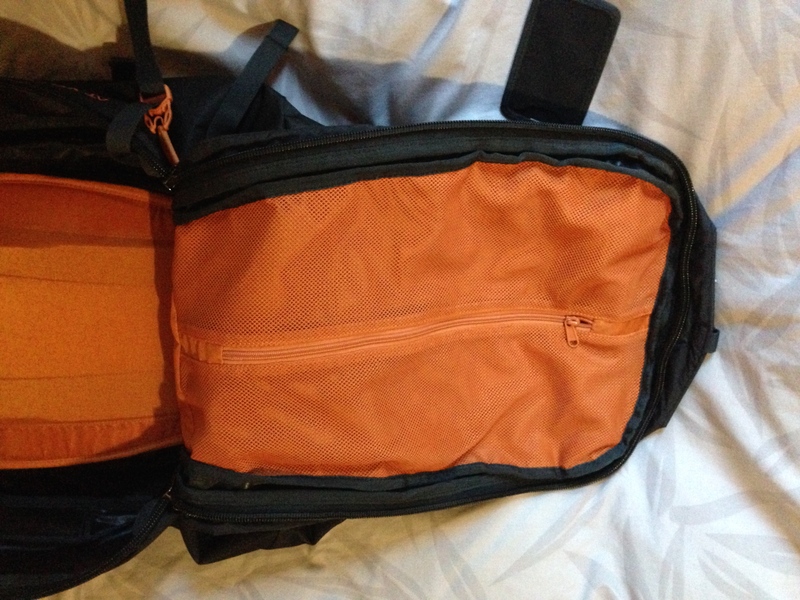 Internally, this is a no-frills travel pack, with only one internal meshed pocket on the opening flap. The compression straps are very simple and narrow, with no additional fabric to assist with fastening belongings in the one place. I am not sure how well items will stay put, or whether they will settle to the bottom of the compartment in transit. This is my main concern with this travel pack. 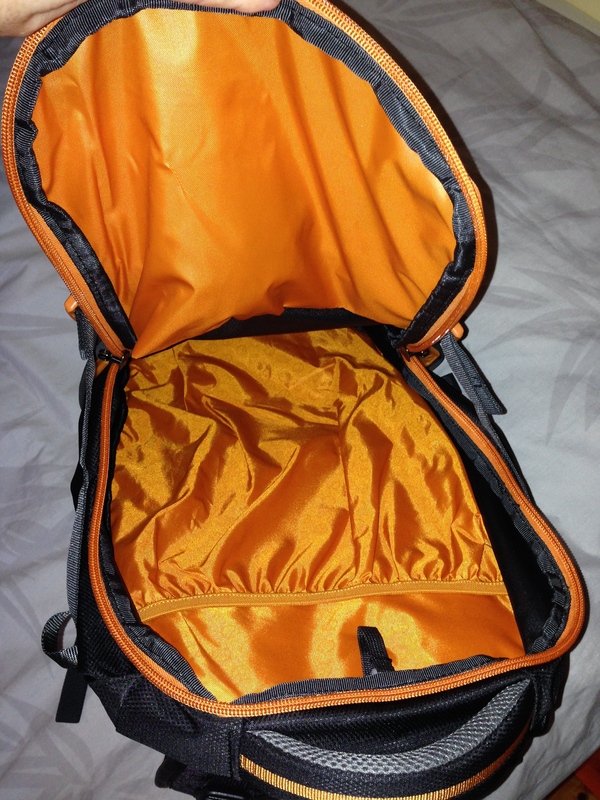 I am going to trial it on a weekend trip shortly, without the use of travel cubes or other compartmenting units. The 15 litre day pack is a decent size, with a breathable back panel, padded shoulder straps and an adjustable chest strap. The secret zipped compartment towards the back panel is ideal for securing travel documents or a tablet. 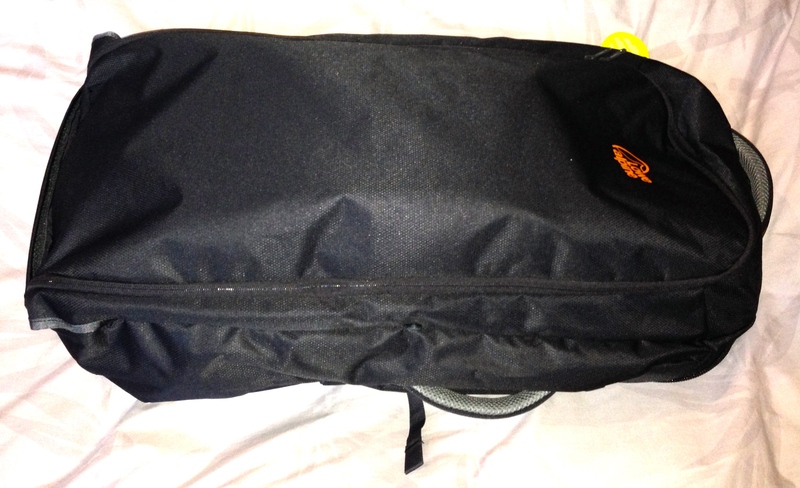 Again, the backpack zip is heavy duty, lockable and weather-protected. An inside expandable pocket will allow for some separation of items, and there is a small external zipped pocket at the top. I used this travel pack and the day pack for a weekend away recently, so I can now report on its functionality in transit. 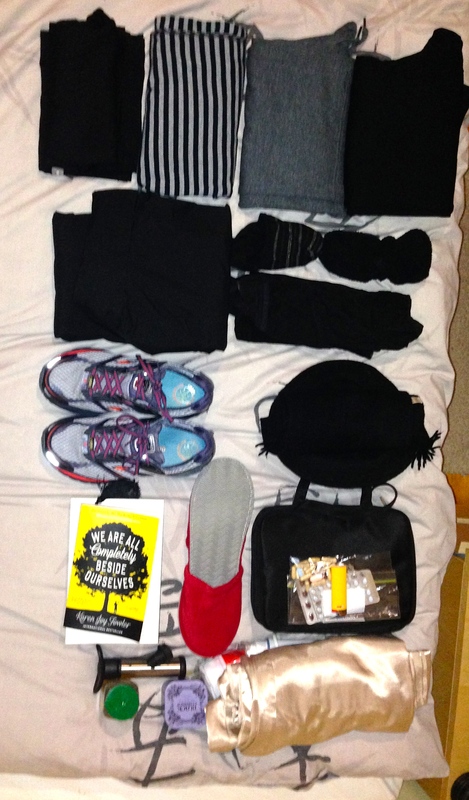 I packed relatively light: the items in the above photo went in the travelpack plus a full length packable down-filled coat and the usual device cables. The pack zips open almost all the way around three sides, but not completely: this left a very shallow enclosed area at the bottom of the pack where I stuffed my trainers and slippers before packing everything else in. 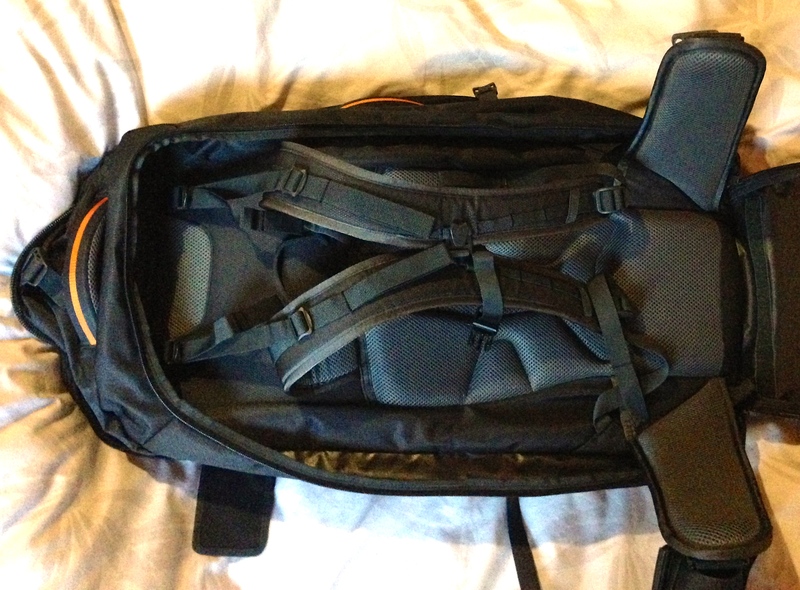 In order to see how well the items would stay put in transit, I opted to place everything straight in without packing cubes or other restraints apart from the two very simple compression straps in the pack itself. I’d say the pack was no more than two-thirds full at this point, and weighed 9.8kg. 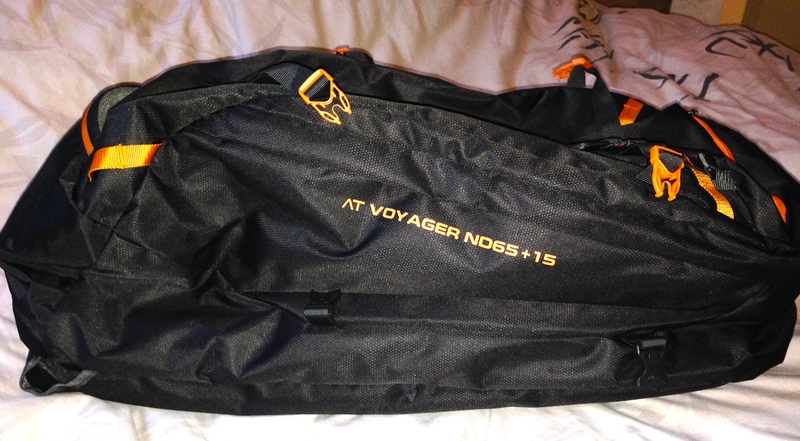 Zipped up and compressed, it was compact and easy to carry either using the handles or the shoulder straps. The daypack carried a ladies’ handbag (which I was too lazy to decant, so just stuffed in there), a 15 inch MacBook, an iPad, two magazines, a pashmina and a small bottle of water in the outside pocket. 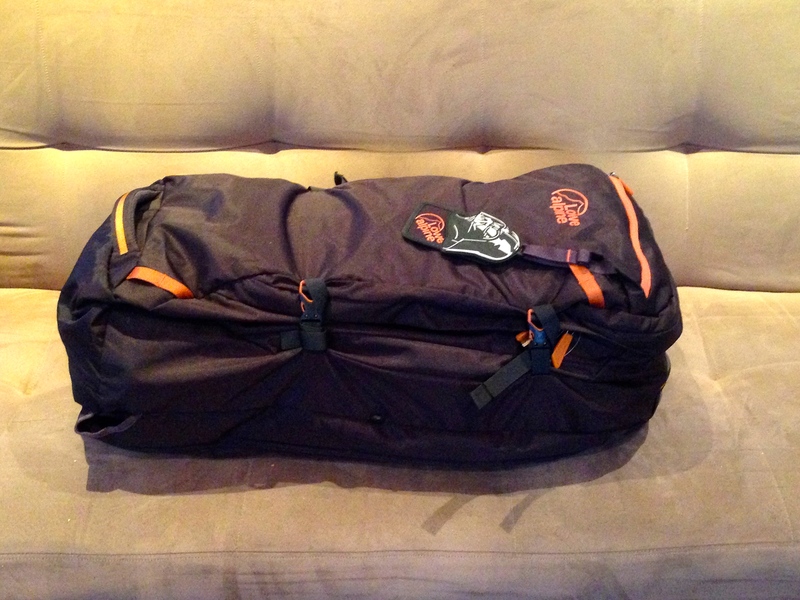 I was pleasantly surprised at what I could get in there and still have a single compact carry-on bag. 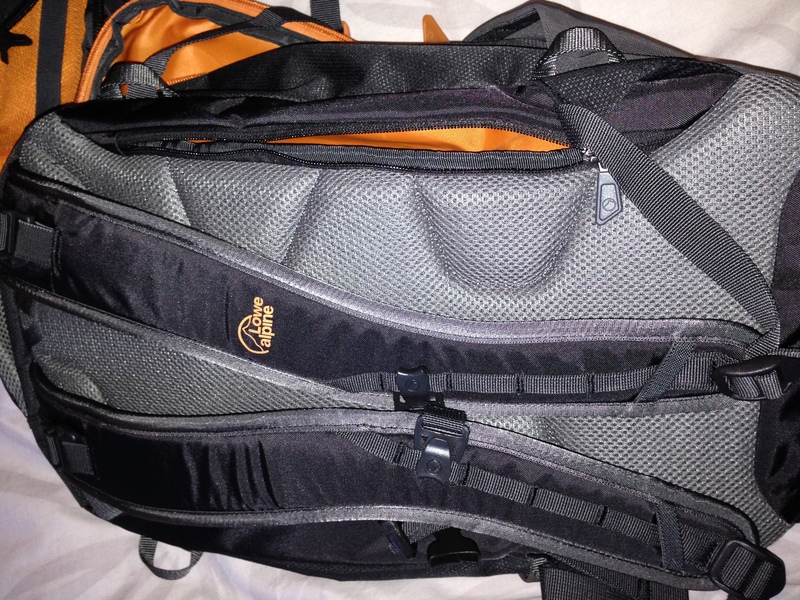 Comfort-wise, the travelpack was great although I only carried it on my back for a maximum of fifteen minutes. Getting the daypack on and off the front of the travelpack is a little fiddly so I didn’t bother, preferring to carry it on my front. On arrival at our weekend destination, I found that nothing had moved an inch from its original spot; the contents of the pack had not slumped towards the bottom of the pack; everything was still pretty evenly distributed and not crumpled. 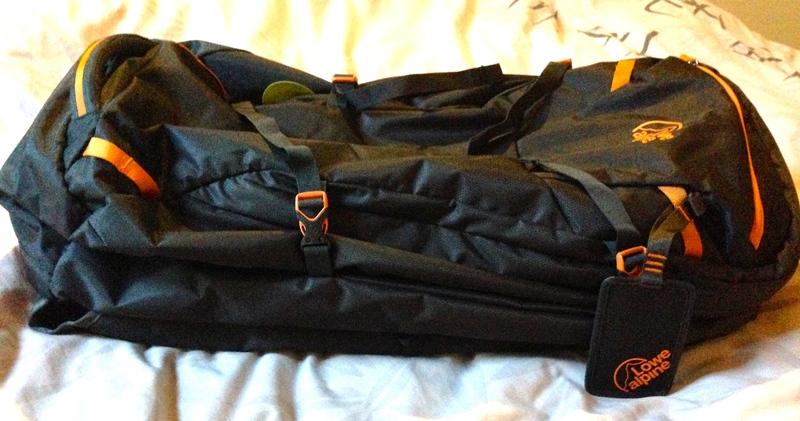 Having the one single compartment from which to operate was lovely – I simply pulled out my toilet bag and used the pack as a clothes drawer for the whole weekend. Everything was easy to find, no nooks and crannies. 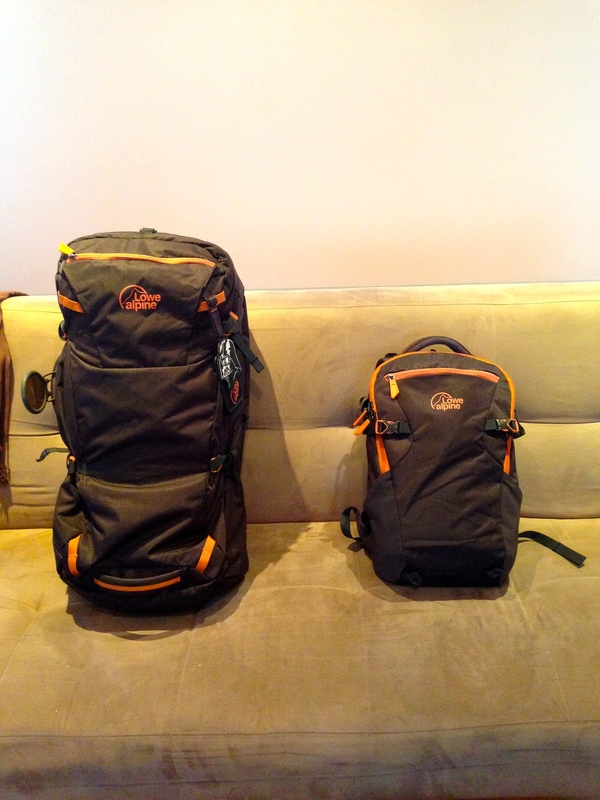 Overall I am delighted with both the travel pack and daypack, and I can imagine I am going to get far more use out of both than I imagined. 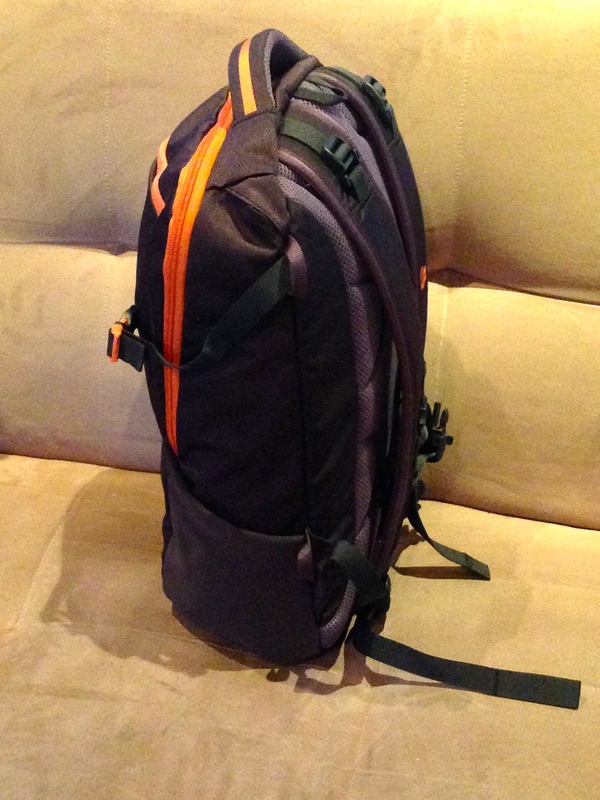 Best review on the internet about this backpack!